Established in 1997 Camlough Dental, based just outside Newry is the first in the region to have achieved the Good Practice Award – The British Dental Association Scheme of Excellence. Nicky McArdle, practice manager originally heard about the creative services of JUST Dental from another dental practice. Nicky was interested in the benefits we could bring to their practice with a more structured and strategic approach to their website design, development and ongoing marketing initiatives online. 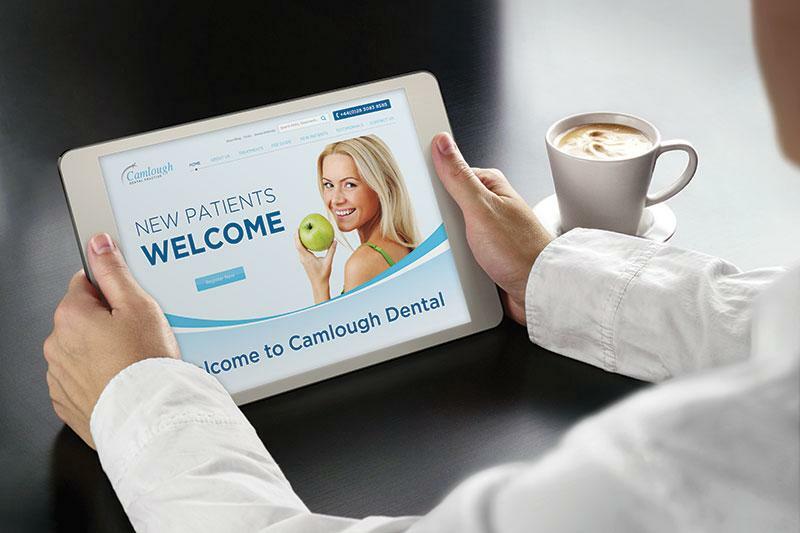 As a result of our initial meeting, brainstorming some proposed ideas for the practice and walking the principal dentists and practice manager through our extensive portfolio of dental-specific case studies, Camlough Dental commissioned JUST Dental to undertake the design and development of their new website. 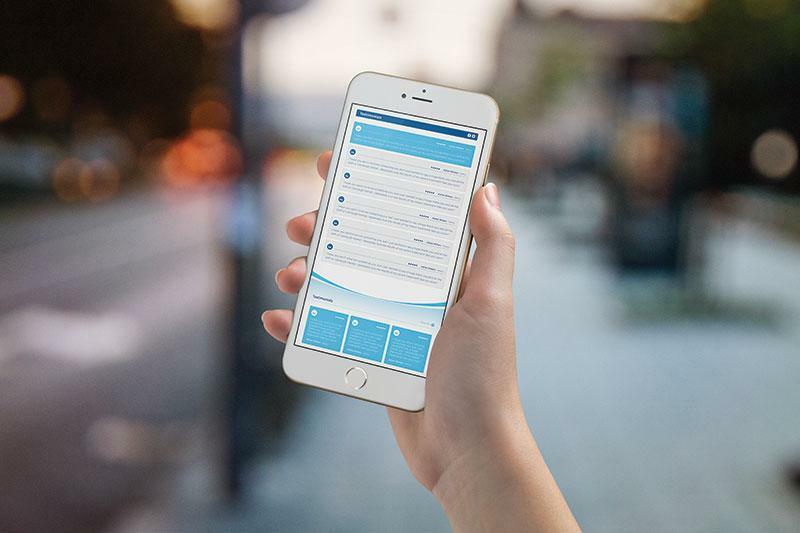 The website’s primary focus for the practice was to better inform their patients of relevant practice information, treatments and offers available. In addition they also wanted to maximize their Google ranking opportunities to capture new patient acquisition opportunities from the surrounding areas and even over the border into the Republic of Ireland. 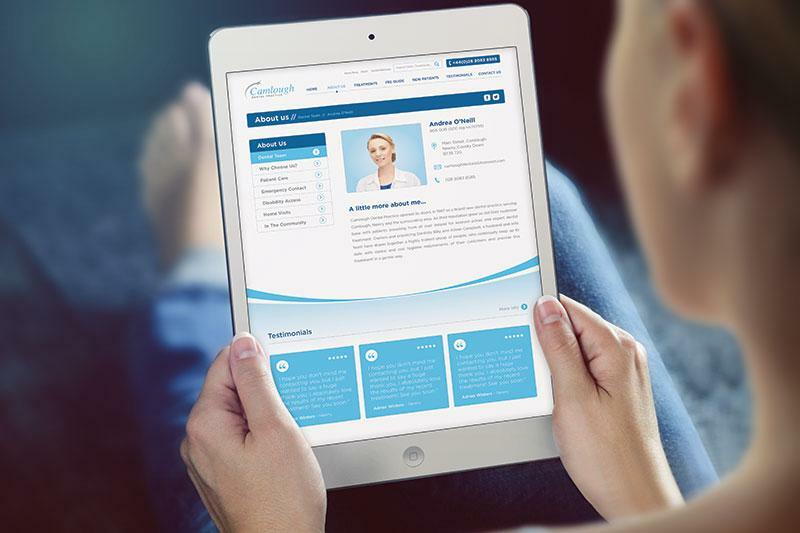 Camlough Dental now has a website that exhibits the simplicity and welcoming nature of the practice, with a clean crisp website detailed with information tailored to their patients expectations. 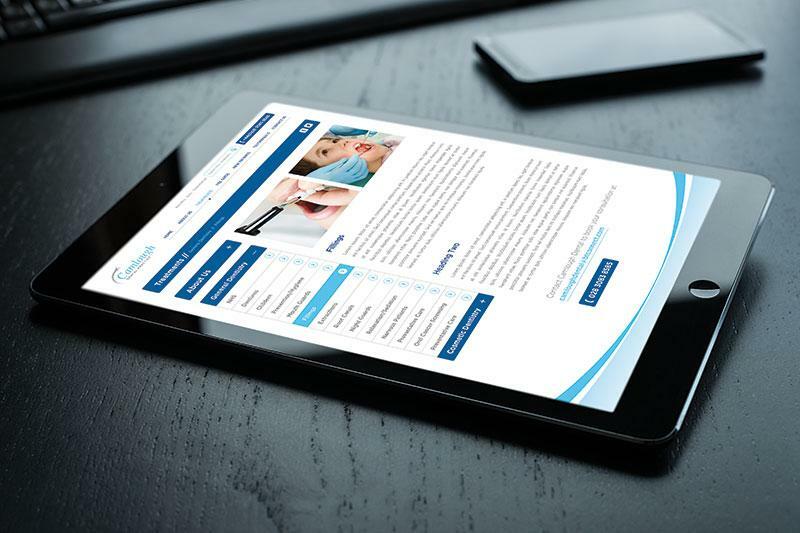 The website has been beautifully crafted with elegant responsive design so patients can now get information on their phone, laptop or tablet with top quality user experience both in and out of the practice. Understanding our clients' needs is an important part of delivering our bespoke promise. Our dedicated in-house team appreciated Nicky's enthusiasm and willingness to build a close relationship and this collaborative approach helped us fulfil our commitment to making her vision a reality.